To begin, here is the short yet biased definition of a chargeback: A very annoying situation when a customer decides not to recognize a purchase made online. This is an uncomfortable situation which ends-up affecting in some way all of the players in the payment processing pipeline. Although all players in the processing pipeline are affected, the one bearing the financial cost of this unrecognized purchase is often the merchant. This has been increasingly common in recent years in Brazil due mainly to strong customer oriented regulations, purchase cancellation, and claims of undelivered products. Brazil has one of the most complete consumer defense systems in the world, so fighting a chargeback is often a very complicated process. The best measure against chargebacks is preventing them rather than fighting them. Here are five of the best methods to prevent chargebacks in Brazil. This is probably the most important point of all. With the right communication, you can split your chargeback rate in half. And you might want to think about all the details. If you cannot have someone talk to your customer right at the time when he needs it most, make sure he knows what is happening at each step of the process via email or on your website; before, at the time of, and after the sale. Make sure your customer can clearly see the help or support tab on your website. If the communication between you and your client is easy, then most of the problem leading up to a chargeback can be avoided. Having an online chat will not only help your customer clear any doubts or concerns right away, but also help increase your conversion rate. If you describe your Nokia 1100 like an iPhone 7 you will likely frustrate your customer when the product arrives. It is important to not give false expectations to your customers. Try to be as accurate as possible, include pictures, reviews, shipping cost, delivery time estimates, and any other information that might be relevant to your customer. Furthermore, if you know your product is usually a highly taxed item, let the customer know on the website that the product might suffer extra taxes or fees at customs. Make sure that the name on the soft descriptor (credit card purchase billing description) will sound familiar to your customer. For some businesses, the legal name is not exactly what the client is expecting to see on his billing statement, which could lead to the customer requesting a chargeback. Choosing the right courier should be an essential part of your strategy if you are shipping to Brazil. Customs is very slow, it can take between 3 to 5 weeks for the product to be released. This can eventually lead to a chargeback since the customer ends-up thinking he will not receive the product. Here are the pros and cons of three common shipping options. If you send your product from a local public post it will usually be delivered by the Brazilian state post office (Correios). Although the process will take longer, your product is less likely to be stopped by Customs. Be aware that there are some cases of lost parcels. You could be using a Courier service where the taxation is pretty much certain except for non-dutiable products. Your customer will end-up paying about 60% more but the product will arrive on time. Send your product with paid tax and duties. With this method, you can be 100% certain your customer will not have to deal with Customs. Some couriers provide this type of service such as Borderlinx or Brabox. However, this option is much more expensive than other methods. Your antifraud system could be this filter between your payment processor and the transactions you receive daily. This filter could be as simple as a set of static rules deterring fraudsters from attacking your website. Or you could be relying on a more advanced solution such as a 3-D secure or an artificial intelligence driven fraud detection tool. Although static rules are the easiest to implement, they will have a higher rate of false positives and false negatives. Fraudsters quickly find their way around static rules which can leave you vulnerable to large attack. Relying on a more advanced solution is certainly the most effective. 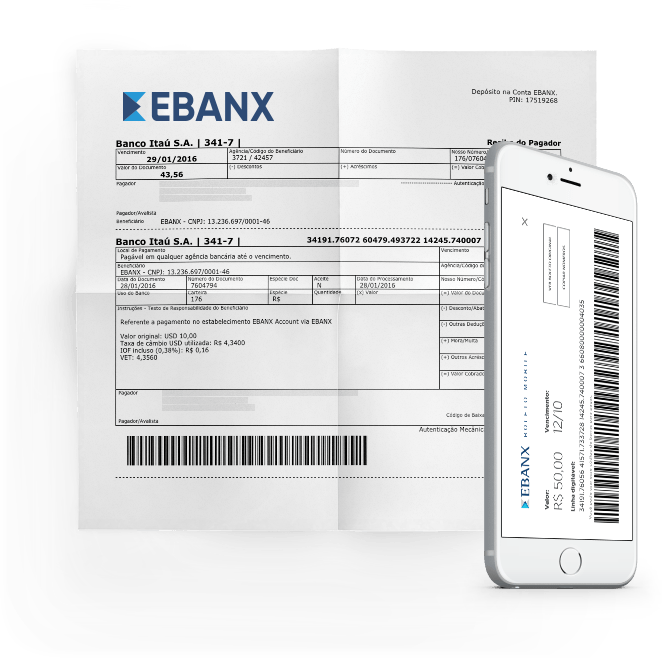 EBANX Payments uses Konduto, a company that uses their knowledge of e-commerce, payments, online advertising, and artificial intelligence to create a completely innovative fraud detection tool. Incentivize chargeback-free alternatives on your website. The Boleto, is a chargeback-free payment option and its popularity in Brazil can work in your favor against fraud. Boleto cash payments, similarly to OXXO cash payments in Mexico, allow 100% of the population to have access to your products which can lead to a significant increase in your conversion rate. On the top of that, the customer cannot file a chargeback if he chooses that payment option, and it nearly has no fraud risk. Choosing the right payment processor is essential if you want to lower your chargeback rate. Your payment processor (PP) needs to be in constant contact with your customer to provide support when necessary and be adept at preventing fraud in Brazil. Some PPs already offer a complete anti-fraud system with their payment services. If a PP doesn’t share their chargeback rates with you, verify they are the right fit by investigating the fraud prevention strategies they use. If you need help planning a chargeback prevention strategy in Brazil or Latin America, we here at EBANX would be happy to discuss these methods or others in more detail.